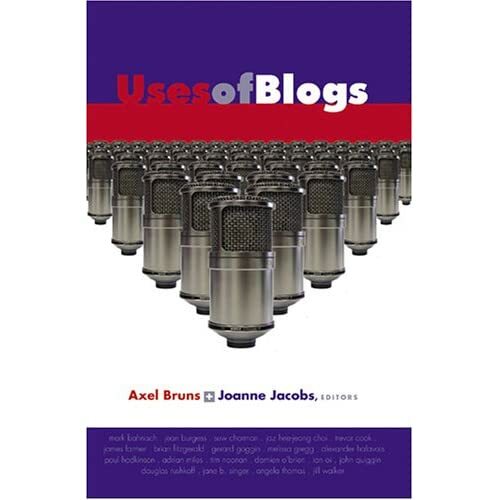 Joanne Jacobs, co-editor of the book Uses of Blogs, was recently interviewed by ABC’s Saturday Breakfast show. Asked to name three favourite blogs, she named Analyst Equity, The Guardian’s comment is free, and a leading education blog. It’s a fantastic reflection of our blog’s growing readership. You can listen to the show on the Saturday Breakfast website (the interview’s two-thirds through the second part of the programme, so just click past the first half of the show) and the website also shows Joanne’s blog recommendations and those of two other blogging experts, Mark Bahnisch and Nicholas Gruen.